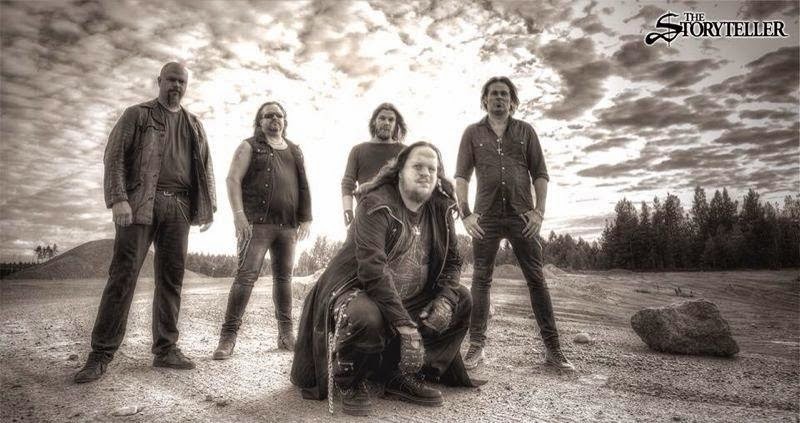 The Lionsheart teamed up with founding member, lead vocalist and former bass player L-G Persson to get some insight into the new album "Sacred fire" as well as some info on the bands history and why they are back stronger than ever. For a start, tell us a little about the band's humble beginnings and how The Storyteller came to be. ~ The Storyteller was founded in 1995 by myself and Fredrik Groth. we knew each other since many years and shared the same taste in music. I had an idea for a concept to a metal band. 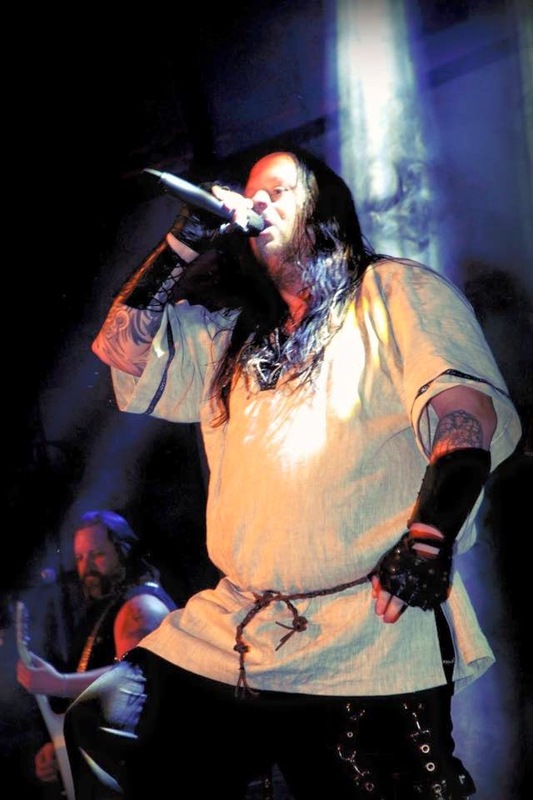 It would be Power metal combined with medieval melodies and with Fantasy lyrics. I had written the foundations for a couple of songs and I introduced them to Fredrik who thought it sounded great, and it was in that moment that I believe The Storyteller was born. Why we chose the name The Storyteller was also no coincidence. The whole arrangement was that we would take on the role of a storyteller who sat by the campfire and told our stories to anyone who would listen. Even the music was written with the intention that they would be able to perform the songs both acoustic and as Power Metal style, and on the debut album, we followed that concept 100%. Picture courtesy of Storyteller Facebook page. And after four records the band came to a stop. Tell us a little about why the band was put on a hiatus in the fall of 2006? ~ There were several reasons why we chose to take a break, but some members of the band became parents recently and had a little difficulty to combine family life, work, and the band. Then we had made some bad choices in terms of partners and to get loose from these partnerships we chose to freeze the band indefinitely. It took so much unnecessary energy trying to get everything to work and music became afflicted and I think that the decision to take a break was justified. What made the band start up again in spring of 2011? ~ In the years that the band was at rest so we got quite a lot of offers to do a gig together. It came from different clubs who had been asked if they could try to book us, but we refused every time. But then came a time when a club in our hometown asked if we didn't thought it was time to do a reunion gig if not permanently then just for one night, so I talked to Jake first and he was interested and it turned out that everyone else was interested, too, and therefore said yes to a gig. Even during the time that we practiced before the gig we all felt that it was fun again and we could play the songs as if we had never had a break, and the reception we received when we got up on stage was enormous. A full venue with fans who gave their all - that was the turning point! After the gig, all agreed that we would continue. 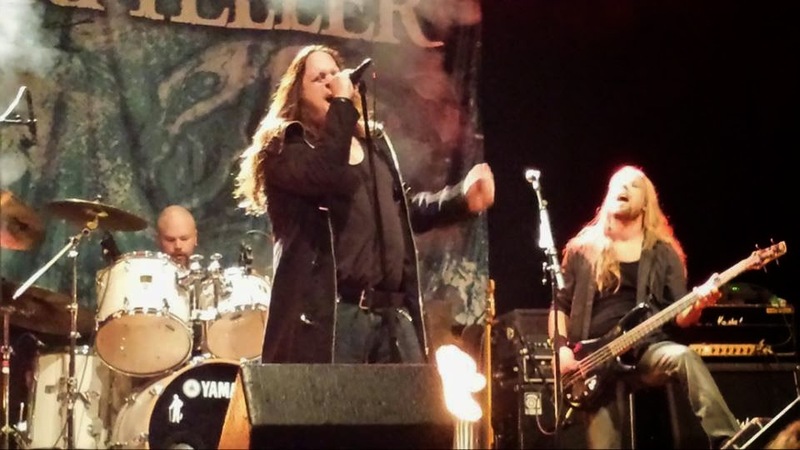 Founding member and guitarist Fredrik Groth left after just one gig in 2012. 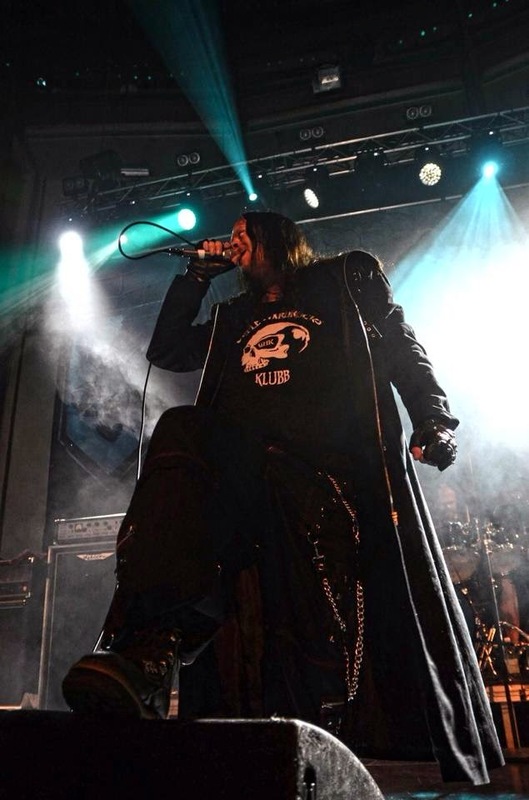 Tell us a little about why Fredrik is no longer with the band? ~ When Frederick decided it was time to move on, it did not come as a surprise, but it became a very dark moment in the band's history. We noticed more and more that Frederik was not his old self, and that he contributed less and less with ideas for song material and did not practice with the band that he liked before. Then came the day when we all got an email from him in which he explained that he had taken a decision that was really tough and he hesitated many times before he pressed the send button. He felt he was not as "hungry" as we were and that he did not share the future as the rest wanted and that's why he took the decision that it was time to move on and leave his place in the band. It took very hard on me and it took some time before I could reconcile myself to the fact that Frederik that I started the band with was no longer in the band, but Fredrik and I have very good contact still and have talked a lot about his decision. Main reason was that he felt that the music had changed from the concept we decided from the start, and he felt that the direction the band was developed for was not something he wanted to do, and in retrospect I understand his position completely. Picture courtesy of The Storyteller Facebook page. When talking about ex-members, why did bass player Johan Sohlberg not take part in the reunion? ~ I do not really know how to explain it but we all felt that John did not have the same interest in the musical style of The Storyteller and that's why we chose to bring in a replacement that would be able to step into the role in an honest way. But he is a nice guy and a talented musician and we all wish him well in what he chose to do. What's the funniest thing you´ve ever seen on tour? ~ I remember one occasion when we were out with another band that I do not mention for their own sake :) but there was so little room for the drum kit and no wall behind so at one point the second band's drummer actually fell behind the scene and disappeared behind the backdrop. Thankfully it was not a long way down and he quickly came up again without the audience noticed anything. What is the best concert you´ve ever been to? ~ The best concert I've been to was without a doubt when I went and saw Iron Maiden when Bruce Dickinson came back to the band. They played fantastically well and they had this energy on stage and really looked to thrive together again. It was an incredible experience. Ok, on to the new album called "Sacred Fire". Can you tell us a little about the lyrical side of the new album. Some lyrics were inspired by Greek mythology I guess? ~ Yes, I actually chose to take a lot of inspiration from Greek mythology. The basic idea was that the album would be about Gods and battles and then I found that very exciting legends existed from the Greek mythology so I read a lot of their legends trying to get as much input as possible. But we have some songs that deviate from the Greek mythology tales but still focus on battles and heroic deeds. Was it an easy record to write and record? So, what are your plans now when the new album has been released? ~ We have no plans right now, but we will wait and see what response we get on the album, but the reviews we have received so far is very good so right now it looks promising. If the album picks up and sells well so maybe we begin to plan for a possible tour. 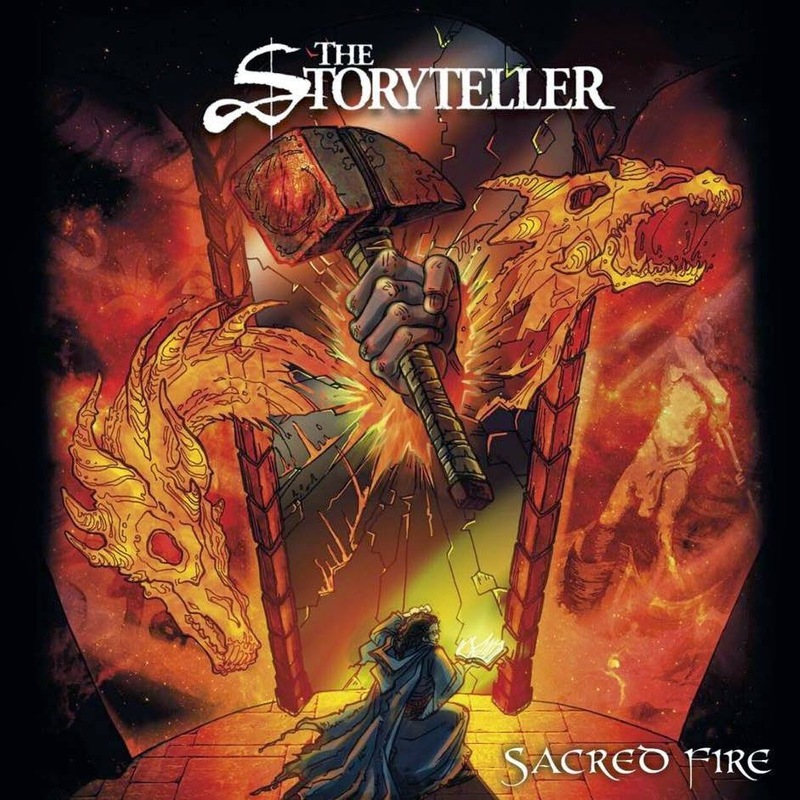 Where can your North American fans find the new album "Sacred Fire"? Is it being released outside of Europe? Finally - Is there any plans for releasing the demo you recorded with Crystal Light officially? I would like to thank L-G Persson for taking his time to answer my questions and updating us on the status of The Storyteller. Personally I think "Sacred Fire" is a really strong effort and would like to wish the guys luck in the future. Read also my review of "Sacred Fire" by clicking the link below. The CD will be released on 27th of February and will be available at amazon.com on March the 3rd both as hard copy CD and digital download. Boris Has A Secret...I'm Gonna Let It Out!